Seller is willing to assist with Buyer's closing costs! 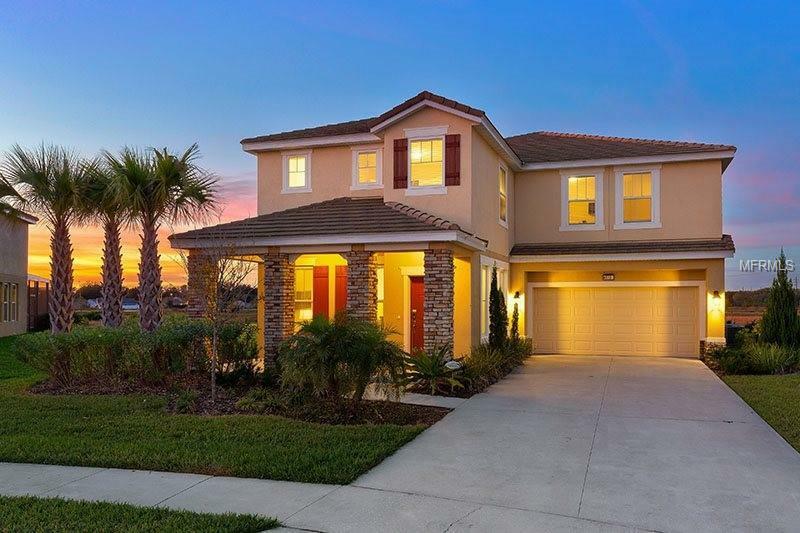 You need to see this elegantly decorated SEVEN bedroom FIVE and ONE HALF bathroom home in the desirable Resort Community Solterra. This home comes FULLY furnished set up to be completely turn key with future management bookings in place. This home is suited for a vacation rental home or a dream home to raise your family. This home is ready for you. From the moment you walk through the door till you find your self standing on the peaceful and secluded back deck, over looking the heated swimming pool and spa, you know this is the place for you. With no rear neighbors and an over-sized pie shape lot you will feel like you are living in your very own oasis. Home is set up with 2 Master King bedrooms, 3 Queen bedrooms and 2 Twin bedrooms. Formal living area, family room and games room gives space for everyone to play. If that's not enough, you have unlimited access to all the resort has to offer with a state of the art clubhouse, resort pool, hot tub, well-equipped fitness room, lazy river, tennis and volleyball courts, playground and recreational area. There is also a poolside cafe for you to enjoy food and drinks! Solterra offers a 24/7 guard gate and endless sidewalks for walking, jogging and running. Don't miss out on this opportunity come see this house today!